Conway: Brett Kavanaugh's Accuser Should Be Heard - Joe.My.God. White House adviser Kellyanne Conway said on Monday the woman who accused Supreme Court nominee Brett Kavanaugh of sexual misconduct will be heard as part of sworn testimony before the committee weighing his nomination. 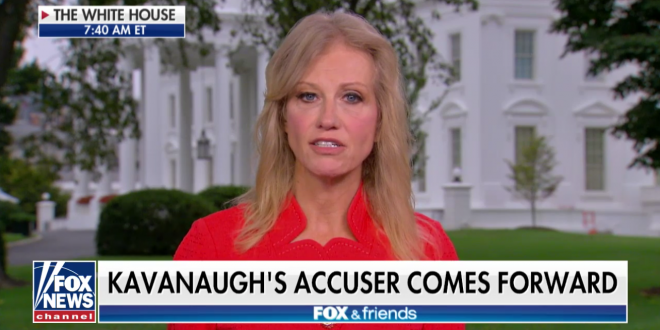 Kellyanne Conway on Fox says she has talked with the president, who thinks Christine Ford should be heard, and also Kavanaugh, on allegations, and then Senate should move on with nomination.